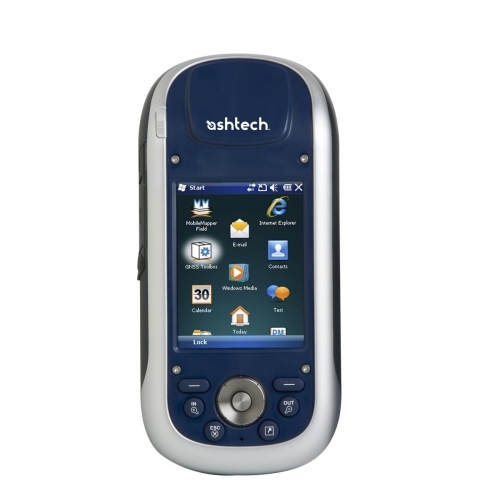 The MobileMapper 100, from Ashtech, joins the already reputable MobileMapper family which includes the MobileMapper 6 and the MobileMapper CX GPS/GIS data collectors. Like its predecessors, the MobileMapper 100 sets a new standard for mobile mapping accuracy, capable of delivering down to one centimetre accuracies in a rugged and lightweight 620g unit. Delivers high accuracies desired by GIS professionals, even in extreme GNSS environments including under dense tree canopy and in urban canyons. Optional Glonass satellite recievers and 45 channels makes the MobileMapper 100 capable of receiving far more satellites, increasing the accuracy and its ability to position in difficult areas. 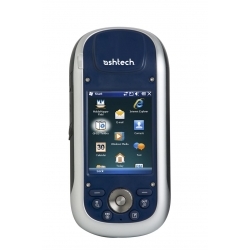 Fully compatible with our PocketGIS field data capture software. 3 mega pixel camera to take pictures out in the field. Plus an added Bluetooth option means the MobileMapper 100 is capable of wirelessly communicating with external devices, such as the TruPulse Laser Rangefinder, allowing positions to be captured offset from the satellite position.